I believe this with my entire heart and you'll never talk me out of it: No sport looks better than hockey. 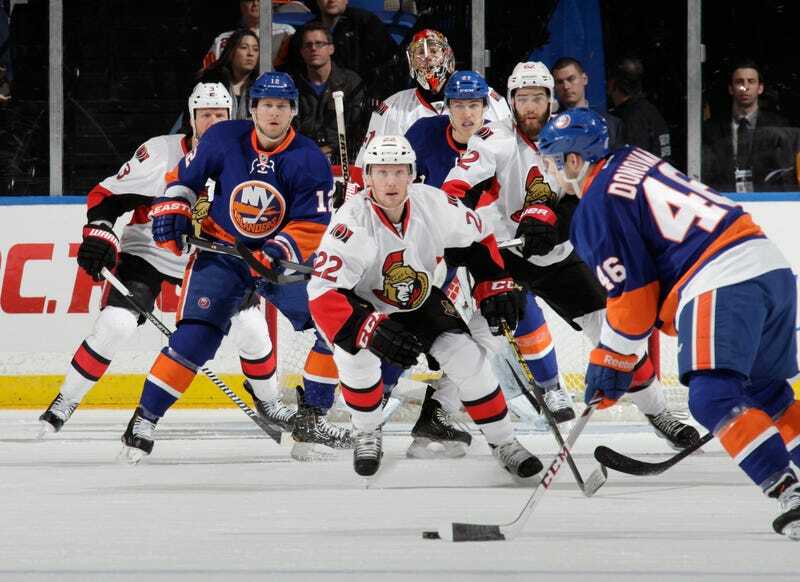 Above is a photo from last night's Sens-Islanders game, meaningless in the standings but notable for being the 5,000th hockey game shot by Getty photographer Bruce Bennett in his 39-year career. (He has annotated his 10 favorites.) Bennett is, by all accounts, a nice guy, a talented shooter, and a true hockey fan, and I'd argue that he and his ilk have done as much for the sport as any writer or broadcaster. In the comments below, I want you to share your favorite hockey photo. It can be historic or aesthetically pleasing or simply have personal meaning, but tell us why you picked it.